At One-Off Cleaning we’re an established, locally-based domestic cleaning company providing one-off cleaning options to anyone and everyone in East Barnet, EN4. We provide personalised cleaning services, available to book at a time convenient to you. Our services are ideal if you want to give your property a professional clean once in a while, or if you’re freshening up your house for a special celebration or one-off occasion. To get started, call us on 020 3397 3282. Talk to our team, you’ll receive a free estimate, no-obligation required, and be taken through our methods of operation. There’s no risk – we offer a money back guarantee if you’re not entirely satisfied with our work – so why wait? Book today! One of the requirements when signing a rental agreement is that you have to leave your property in the same condition as it was when your first stepped through the doors. Therefore, it’s essential you understand that one-off cleaning is an integral part of the moving process. When it comes to move out cleaning in East Barnet, One-Off Cleaning will have all your needs well and truly covered! We’re well aware how stressful moving out can be, so we’ll help you tick one more thing – one of the most important aspects of the process - off your moving checklist. You can’t go wrong with our end of tenancy cleaning experts in EN4, so call us on 020 3397 3282. Once in a while, whether it’s for a special occasion or for general one-off spring cleaning, it’s essential to treat your property to a good old scrub down – a professional one-off clean to thoroughly sanitise and deep clean your home environment to make it sparkle. Deep cleaning shouldn’t be rushed or approached haphazardly. It needs to be carried out meticulously and that’s exactly how we approach every single task in East Barnet. Our cleaners have an eye for detail; they can spot specks of dirt, dust, stains, scum, limescale and will clean everything in a safe and efficient manner using foolproof cleaning methods and expert techniques. Situated in the far north of the capital in the London Borough of Barnet, East Barnet is a mainly residential suburb with a smattering of shops in the small shopping area located in the centre of the district. East Barnet has an old village feel about the place; it’s a sleepy suburb away from the hubbub of the city, with plenty of greenery and open spaces. Oak Hill Part is a beautiful park in the area, located a short distance away from the Parkside Gardens. Bodens Performing Arts School is also in the vicinity and regularly hosts unique productions. Want to hire a one-off house cleaning service that’s not only affordable but also helps to get your property in East Barnet, EN4 in amazing condition? You’ve come to the right place. With us you get your home cleaned without spending a fortune- rest assured that cheap doesn’t mean substandard – without any compromise on the quality of the service provided. 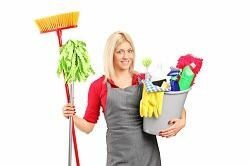 The majority of people living in the local area hire our one-off-cleaners for special occasions – one-off jobs that only professionals can handle. But our services are also available to anyone who wants to treat their home to a professional touch. Whatever your requirements may be, get in touch with us and make a booking on 020 3397 3282.